Today at Somerset House, London, a cross section of the music industry was brought together by the managers of Arctic Monkeys, One Direction, Mumford & Sons and PJ Harvey to launch the FanFair Alliance – a new campaign to unite businesses, artists, entrepreneurs and fans against online ticket touting. 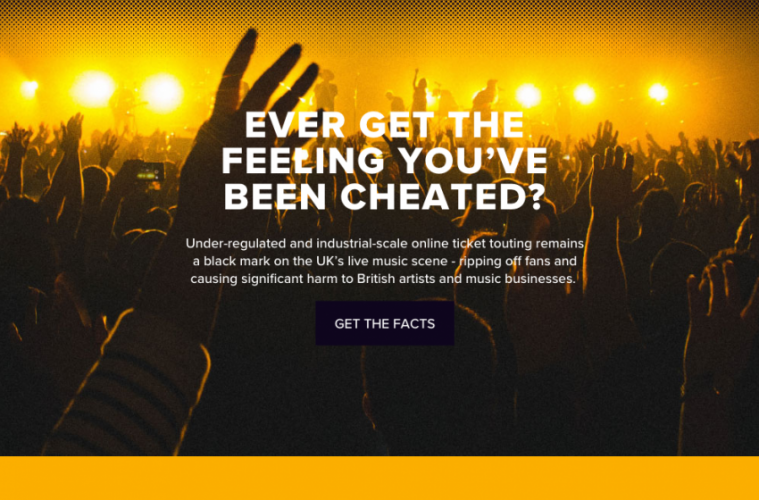 The black market in ticket resales is now widely recognised to have reached an industrial-scale, with touts operating anonymously and with impunity on under-regulated secondary ticketing sites – systematically ripping off fans, breaching a range of UK legislation and diverting revenues from the creative economy. It is estimated that secondary ticketing in the UK (based on resales from four platforms: Viagogo, StubHub, GetMeIn and Seatwave) is worth more than £1bn per year. FanFair has highlighted the prevalence of ticket touting on these platforms with new evidence submitted to a Competition & Markets Authority review, including recent sell-out shows for The 1975 and Black Sabbath. For the latter’s 7-date 2017 UK arena tour, 11,695 tickets were listed for re-sale within minutes of the general sale going live – close to capacity of an additional tour date. Across the board, ticket re-sale listings were found to be in breach of the Consumer Rights Act 2015 and other UK consumer laws. Initially backed by more than 40 individuals and businesses who have signed a Declaration supporting fair ticketing practices – as well as music trade bodies including AFEM, AIF, AIM, BASCA, FAC, MMF, MPG, MU, MVT – the FanFair Alliance is urging Government to take four pragmatic steps that would disrupt the touts and help get more face value tickets into the hands of fans. Enforcement: The Consumer Rights Act 2015 needs teeth. As highlighted by consumer bodies such as Which?, as well as FanFair’s own research, measures implemented in last year’s Consumer Rights Act to regulate ticket resales online are being systematically breached. We support Professor Michael Waterson’s recommendation in his recent Government review for a properly funded National Trading Standards investigation into secondary ticketing practices, with coordinated police action, and for strict penalties to be enforced if resale sites are found to be breaking the law. Transparency: Fans need to know who they are buying from. Professional traders (or “powersellers”) are currently able to operate anonymously on secondary ticketing sites. This lack of transparency only benefits touts, and we believe their identities should be made clear to buyers. This is already a condition of existing legislation such as the Consumer Contracts Regulations 2013 (CCRs) – and is standard practice on true online markets such as eBay and Amazon Marketplace. Responsibility: Secondary ticketing platforms should show proper corporate responsibility. As demanded by Which?, we believe that resale sites (not their users) should bear responsibility for ensuring compliance with consumer legislation. Supply: Abuse of technology (or “bots”) to scalp tickets should be a criminal offence. Touts frequently hack into primary ticketing systems to buy up inventory for re-sale. Government should clarify that such actions are breaking the Computer Misuse Act, and attach appropriate penalties. A detailed summary of these positions can be found on the FanFair Alliance website. The campaign will unveil further initiatives soon, including educational guides for music businesses and fans. “The aim of the FanFair Alliance is to take a unified stand against rampant profiteering in the secondary ticketing market. I am delighted we are launching with such a groundswell of support and I hope more will come onboard and join us. By sharing knowledge, embracing progressive technology and enforcing consumer legislation, we can take significant strides in reducing a multi-million pound touting industry that impacts on music fans and the wider music economy. Paul Reed, GM of the Association of Independent Festivals added: “AIF fully supports the launch of the FanFair Alliance. We are calling on the Government to act and want to see a Consumer Rights Act that is best fit and protects music fans, with the law on ticket re-sales actually enforced. All involved in the industry should strive to work together to eliminate damaging and unlawful practices, improve consumer education and ensure transparency and fairness for fans”. 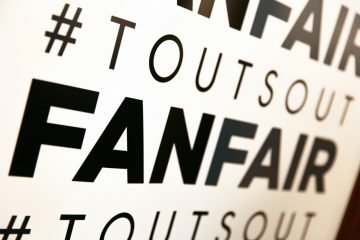 Fans are also being encouraged to sign up to the campaign at www.fanfairalliance.org and to share their experiences and stories. 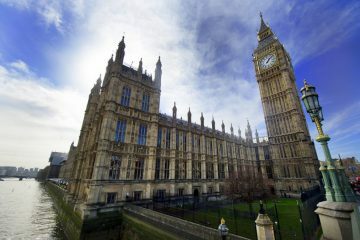 Government is due to respond by July 21st to the nine recommendations made by Professor Michael Waterson in his Independent Review of Consumer Protection Measures in the Secondary Ticketing Market.